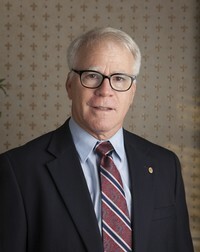 Dr. John F. Whitt, JR.
Dr. John F. Whitt Jr. graduated from Emory University with a Doctor in Dental Surgery in 1982, and has been in private practice since that time. He returned to graduate school and attended the University of Medicine and Dentistry of New Jersey (UMDNJ) where he specialized in Endodontics. He has also received comprehensive training in Implant Dentistry. Dr Whitt is a diplomate of the American board of Endodontists and an active member of the American Dental Association and American Academy of Implant Dentistry. Dr. John F. Whitt Jr.'s family legacy of dentistry began in 1878 when his great-grandfather, Dr. William Henry Whitt, traveled on horseback to provide dentistry for the townspeople of Virginia. This influenced his son, Dr. William Edgar Whitt, to become a dentist. Dr. W. E. Whitt retired to Yalaha, Florida, and his son, John F. Whitt, Sr. or "Jack" Whitt served in the Navy as a dental technician. After serving, Jack attended Emory University and graduated as a dentist in 1956 and then practiced in Central Florida until his retirement in 2006. Dr. John F. Whitt, Jr. is a native Floridian and lives in Lady Lake with his wife and daughter. His hobbies include fishing and hunting. He attends Community United Methodist Church in Fruitland Park, Florida. Dr. Narayana completed his Endodontic training from the University of Medicine and Dentistry of New Jersey (Rutgers School of Dental Medicine) receiving a M.D.S. and a Certification in Endodontics. Prior to his formal Endodontics training Dr. Narayana practiced general dentistry for 7 years and went on to participate in a Fellowship in Endodontics at the University of Florida. He is also a Diplomate of the American Board of Endodontics. He serves on the faculty of Rutgers School of dental medicine as an adjunct associate professor in the Department of Endodontics where he teaches postgraduate residents. Dr. Narayana is an active member of the American association of endodontics and fellow in International academy of endodontics. 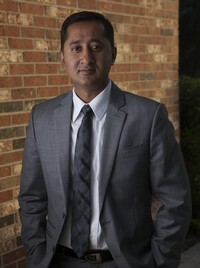 Dr Narayana is currently the member and president of Lake county dental association. Dr. Narayana was also honored with the AAE residents award for his presentation at the American Association of Endodontics meeting. He often takes part in lectures at various national and international meetings and has articles published in journals including Journal of Endodontics and endodontics textbook.